Pretty much every season of Survivor, the “merge episode” stands out as one of the best. It’s exciting, sometimes nerve-racking, but always entertaining, not to mention that it always stands as a pivotal moment for the game’s overall trajectory. Tonight’s merge episode was all of that and then some, but for different reasons than normal. That’s because the fun of the merge was largely overshadowed by the episode’s first 15-minutes, where this season’s “Edge of Extinction” twist finally came to fruition. And it was awesome. It was epic. And it thoroughly gave me those Survivor butterflies that I so love to feel. As I do at the beginning of every recap, please heed the following. Remember that this recap assumes that you have already seen this week’s Episode 7 of Survivor: Edge of Extinction. If you have not and don’t want to be spoiled, please come back later! It’s important to add that while we WILL hit on all of the important developments of the episode, this is not a linear “blow-by-blow” recap. It is more of a discussion and reaction of what we just witnessed together. This season just got great, people! 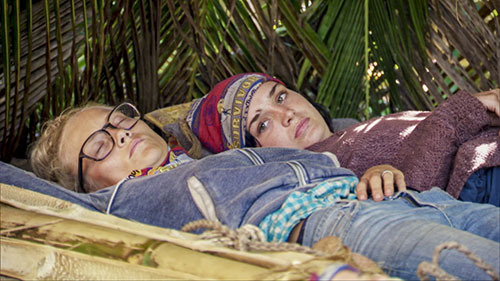 For those that have stuck through the first handful of episodes, we were rewarded tonight with two AMAZING hours of Survivor. Two hours that were filled with strategy, drama, excitement, twists and major blindsides. It’s made the trek thus far worth it, and then some. I, for one, was bubbling with that Survivor-adrenaline tonight, and forget what the naysayers might be telling you: The Edge of Extinction was darned-exciting tonight too! Yes, Survivor was firing on all cylinders tonight. And here’s hoping it has jolted its loyal fan-base into being excited again. I’m feeling reinvigorated! As I do at the beginning of every recap, please heed the following. 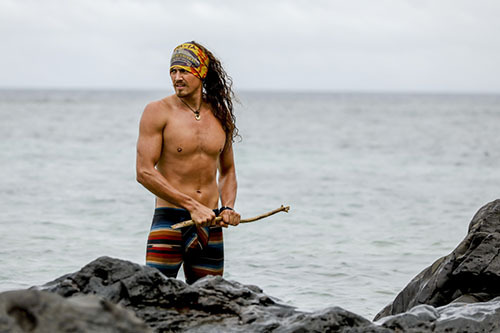 Remember that this recap assumes that you have already seen this week’s Episode 5 and 6 of Survivor: Edge of Extinction. If you have not and don’t want to be spoiled, please come back later! It’s important to add that while we WILL hit on all of the important developments of the episode, this is not a linear “blow-by-blow” recap. It is more of a discussion and reaction of what we just witnessed together. 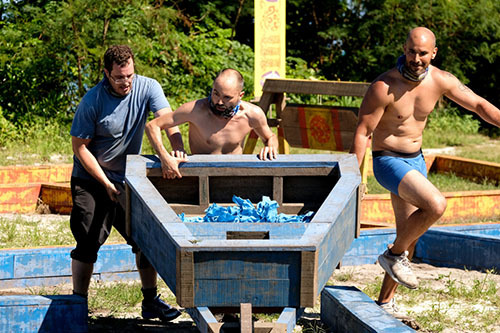 Luck has always played a large part in the game of Survivor. Still, after one of the craziest tribe swaps in the game’s history, it’s pretty clear that fate has smiled on some players more than others. 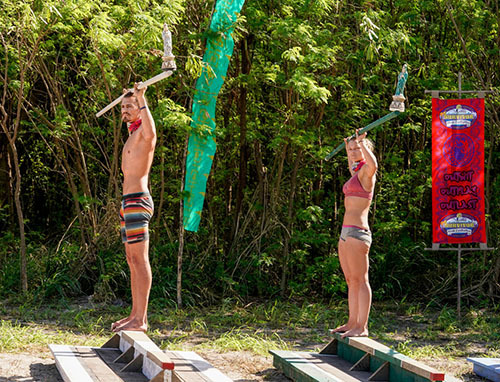 We’ve seen the same tribe attend the first three Tribal Councils of the season. While there was technically a different tribe there this week, it was still made up of all the same, familiar faces. As I do at the beginning of every recap, please heed the following. Remember that this recap assumes that you have already seen this week’s Episode 4 of Survivor: Edge of Extinction. If you have not and don’t want to be spoiled, please come back later! It’s important to add that while we WILL hit on all of the important developments of the episode, this is not a linear “blow-by-blow” recap. It is more of a discussion and reaction of what we just witnessed together. Who you calling “chicken”? 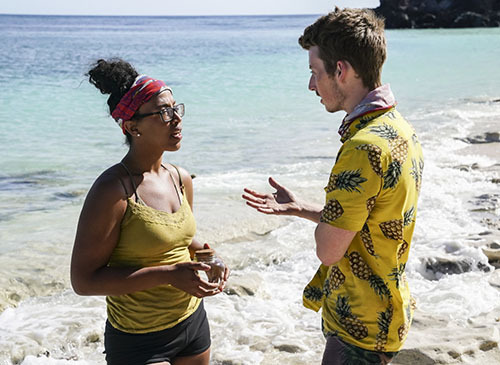 Tonight’s latest episode of Survivor: Edge of Extinction might have ended up feeling “fowl” for one unlucky player, but for the four chickens that were won as reward, it was literally a matter of life and death. One player put all of her eggs in one basket in an attempt to save them, hoping that her actions wouldn’t come home to roost…while elsewhere a tender nugget of information that was shared ended up sending one over-confident player right into the fryer and straight to the Edge of Extinction. OK, I’ll stop. As I do at the beginning of every recap, please heed the following: Remember that this recap assumes that you have already seen this week’s Episode 3 of Survivor: Edge of Extinction. If you have not and don’t want to be spoiled, please come back later! It’s important to add that while we WILL hit on all of the important developments of the episode, this is not a linear “blow-by-blow” recap. It is more of a discussion and reaction of what we just witnessed together. 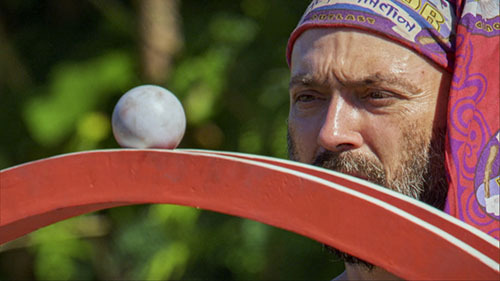 On a season all about pushing yourself to the very brink of what you can handle, tonight’s new episode of Survivor was all about cutting the dead weight. As I do at the beginning of every recap, please heed the following: Remember that this recap assumes that you have already seen this week’s Episode 2 of Survivor: Edge of Extinction. If you have not and don’t want to be spoiled, please come back later! It’s important to add that while we WILL hit on all of the important developments of the episode, this is not a linear “blow-by-blow” recap. It is more of a discussion and reaction of what we just witnessed together.